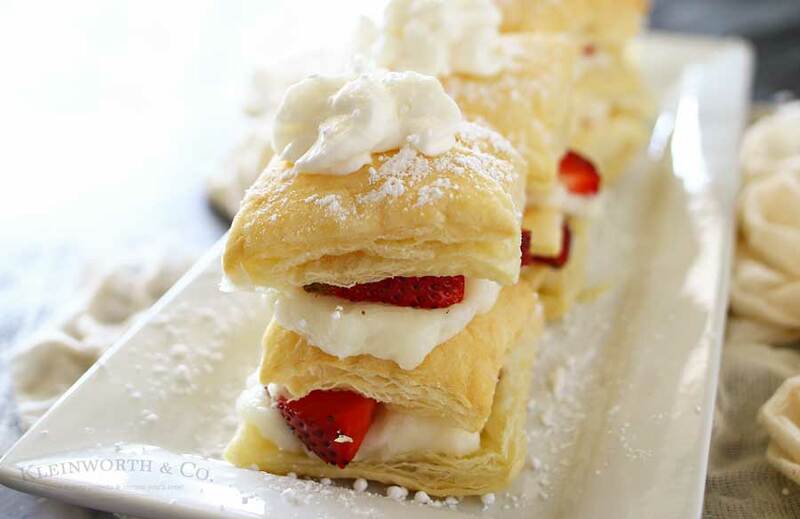 Strawberry Napoleons are an easy dessert recipe made with puff pastry, pudding, strawberries & dusted with confectioners sugar. The perfect summer dessert. I have a thing for pastries. I think it’s because they are so pretty. Something about sitting in front of something that is not only beautiful but sweet too just makes my heart sing. When I graduated from high school my mom, grandmother & aunt took me on a girls weekend to a place near the CA coast called Solvang. It was a favorite place for my mom & I, so of course when we thought about a weekend get-away, that was our place of choice. It’s this little Scandinavian type town filled with little shops & Bakeries. Of course, we ate our weight in pastries that weekend. But I wasn’t even 100 lbs at the time- so I suppose it wasn’t all that bad. But we sure enjoyed ourselves & I found a deep love for pastries like these Strawberry Napoleons. Because I love them so much I knew this would be the recipe of choice when I joined my friends for our first Feast & Devour challenge this month. The theme- strawberries. These Strawberry Napoleons were the first thing that popped into my head. I just laid out my puff pastry on my “go-to” baking sheet & baked to package directions. Then I whipped up the pudding & added that on there along with the strawberries & confectioners sugar. 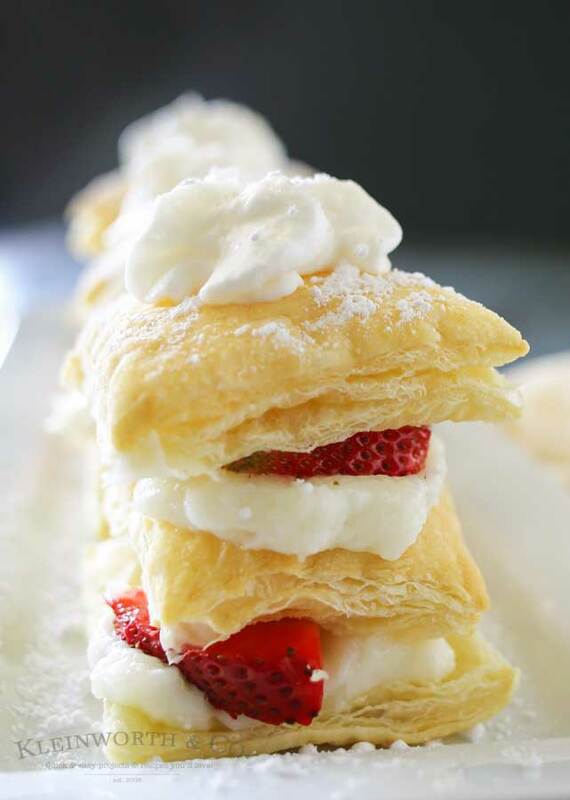 I also thought these Strawberry Napoleons needed a little-whipped cream on top. Because really, whip cream makes it better. Honestly- these Strawberry Napoleons just made me swoon! 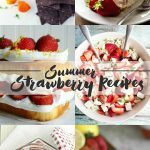 I loved every single bite & they are definitely the perfect summer dessert. Cut each pastry sheet into 3 strips along the fold marks. Place the pastries on the baking sheet. Transfer to cooling rack & cool for 10 minutes. Split each pastry into 2 layers, making 48 in all. Prepare the pudding mix according to the package directions except use 1 cup milk. Reserve 16 top pastry layers- set aside. Spread 2 tablespoons pudding mixture on each of 16 bottom pastry layers. 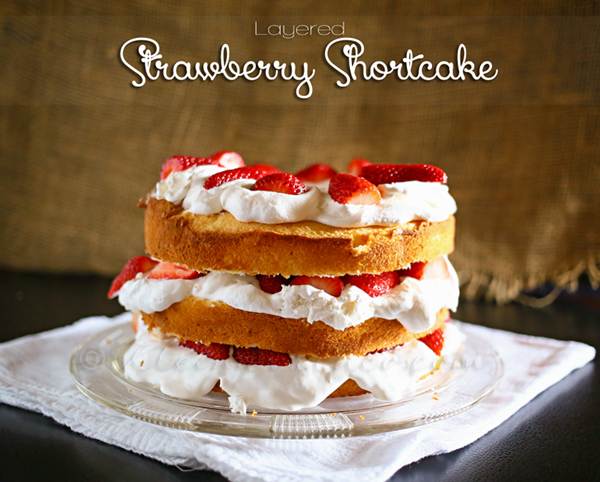 Top each with 1 tablespoon strawberries and another pastry layer. Top with the remaining pudding, strawberries and the reserved top pastry layers. Sprinkle with the confectioners’ sugar. 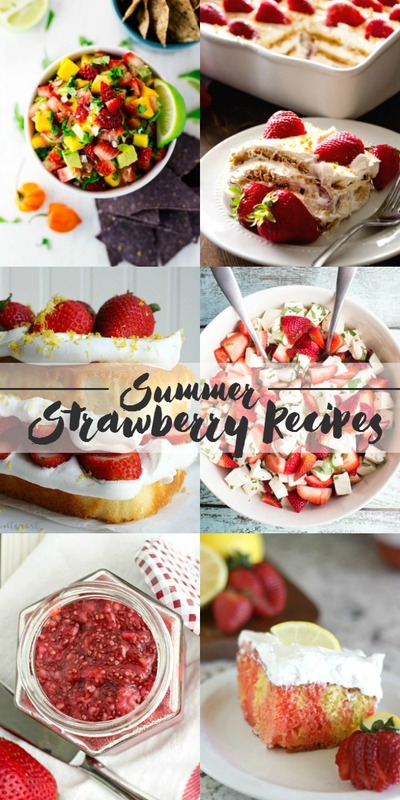 Don’t miss these other FABULOUS summer strawberry recipes from my friends! Strawberry Napoleons from Kleinworth & Co. 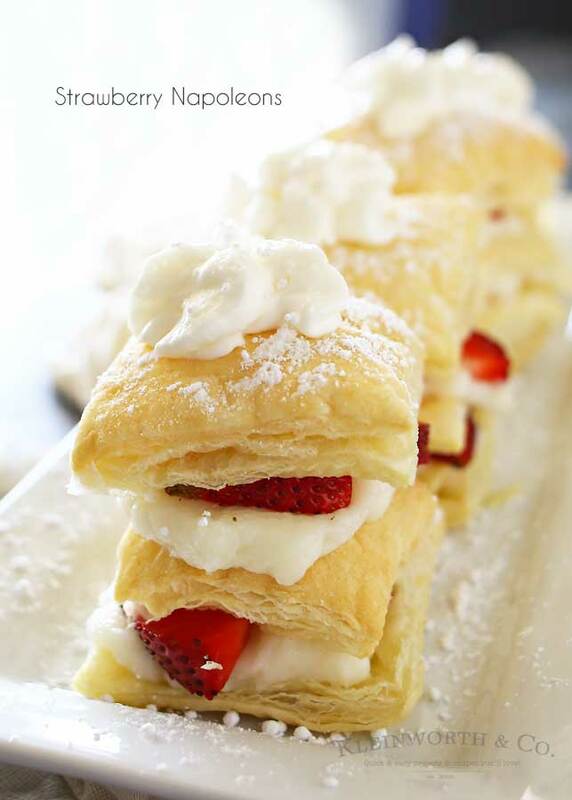 Looking for more great strawberry recipes like these Strawberry Napoleons? How cute! I am actually making shortcake for desert tonight! 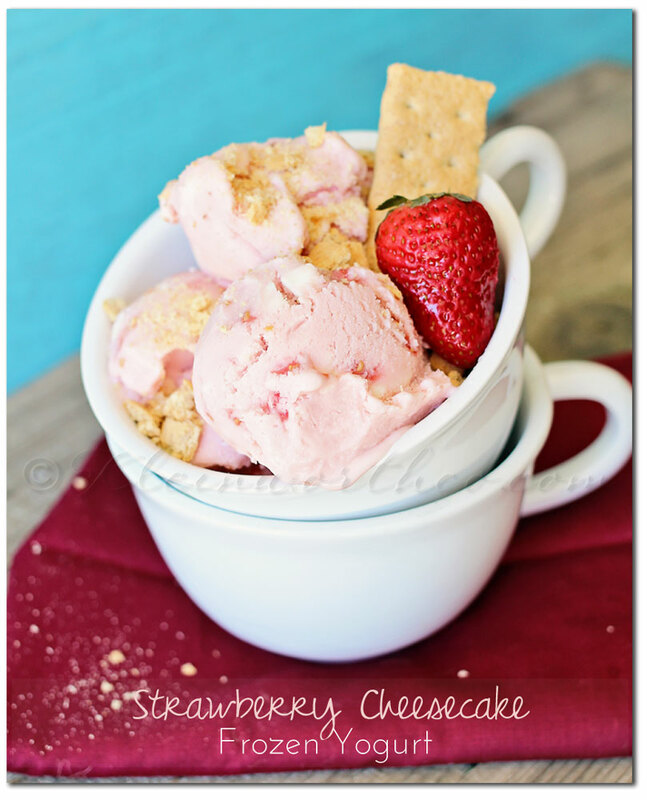 A light and sweet dessert, perfect for summer! Thanks! Such a fun, but easy, treat! Love the stacked layers and know my kiddos will go crazy for them too 🙂 And I’m with you on a love for pastries! 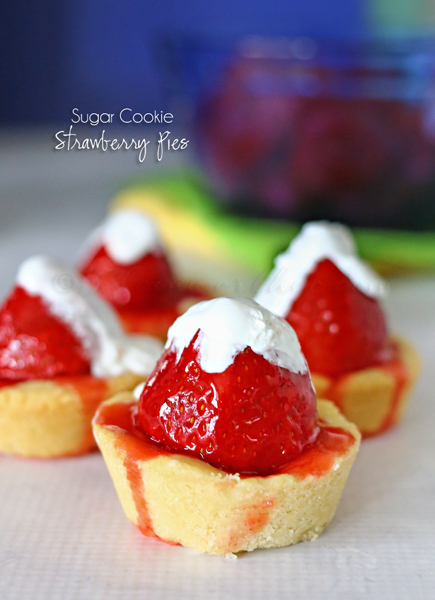 Your Strawberry Napoleons will be a great little dessert for the summer. Thanks so much for sharing with Full Plate Thursday and have a great weekend! Thanks for sharing at Merry Monday! I’m going to save these recipes for later. This looks so light and pretty! I’ll definitely be trying this one soon. … Featured at Be Inspired this morning. Thanks so much for sharing! Hi just stopping by and letting you know that this awesome post was picked as one of the featured posts on the #HomeMattersParty this week. You can find it at http://adventuresfrugalmom.com/home-matters-linky-party-89/. While you are there make sure to grab the I was featured button for sidebar. Congrats and hope you will link up again. Oh that’s great!!! Thank you so much!! !